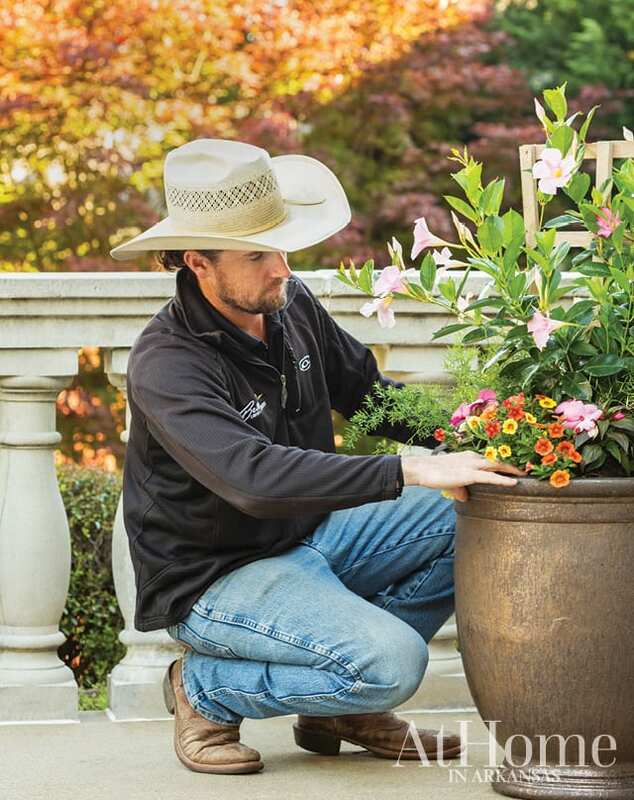 “Containers are one of the most under-utilized garden features,” says David Munsey III, general manager of Little Rock’s Better Lawns & Gardens. “You don’t need a lot of them to start with; you can make a big impact, colorwise, with just one or two plantings. Plus, they are less expensive than planting a bed and can be used in small spaces or apartments,” he adds. 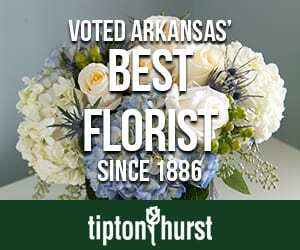 To prove his point, David worked with his mother, Ruth Ann Munsey, to create a variety of vivid container gardens, each of which features plants that have similar water and sun requirements and will withstand the Arkansas climate. “Mom works with all of our clients on their containers, and she’s great at sourcing our high quality materials,” David says. For every container they create, David and Ruth Ann start with a focal piece in the center and accent with seasonal color that fills in and spills over the edges. “We want to customize these to a client’s space, just as we would a traditional landscape, so we often pull color ideas from the furniture, existing landscape, or surroundings,” David says. 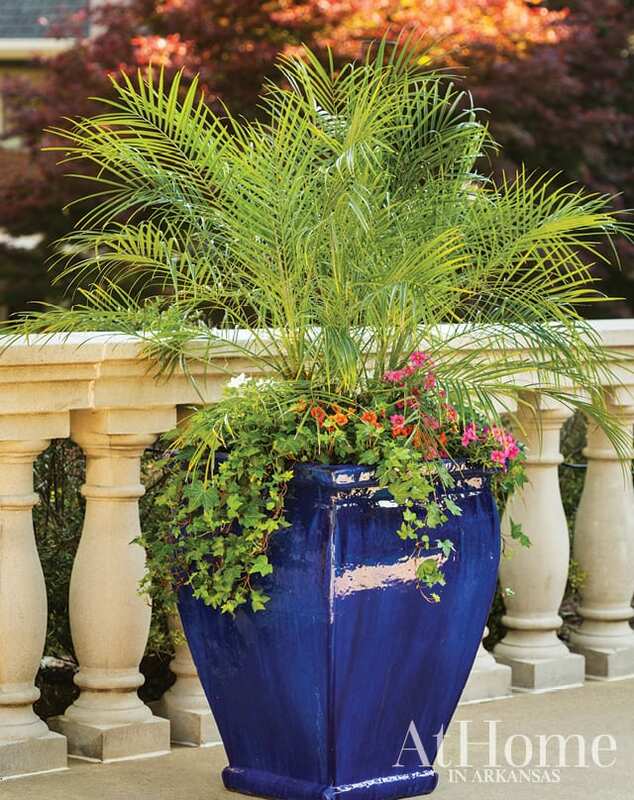 Better Lawns & Gardens works with their clients in a variety of ways to get them both the look and the longevity that makes containers so attractive. David notes that many of their clients like to get their hands in the dirt, too. 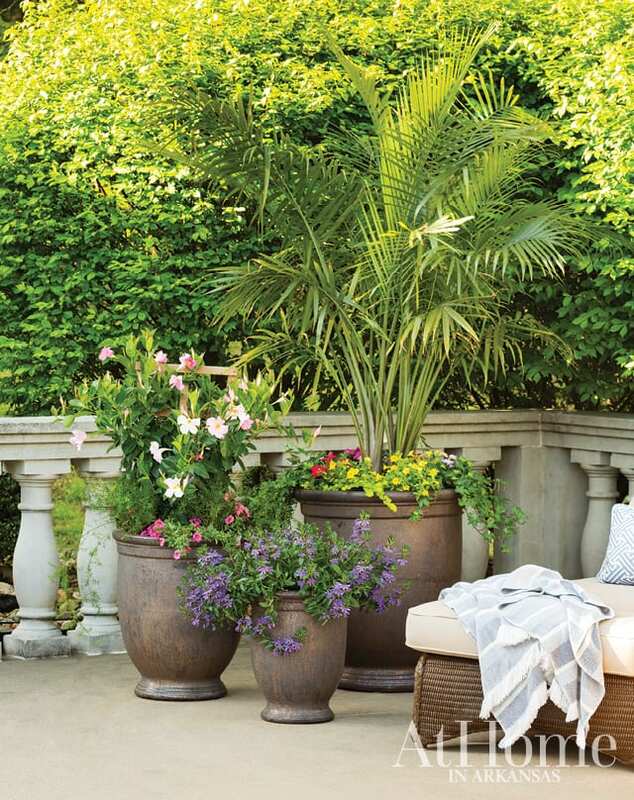 That’s why in addition to their full-service design and planting programs, they also offer consultations where the plants and the design are specified, but the homeowner gets the joy of playing in the dirt to create the container. Phoenix roebelenii palm, ‘Lanai’ white verbena, English ivy, and a mix of ‘Cabaret Light Pink,’ ‘Aloha Kona Hot Pink,’ and ‘Callie Apricot’ calibrachoa. 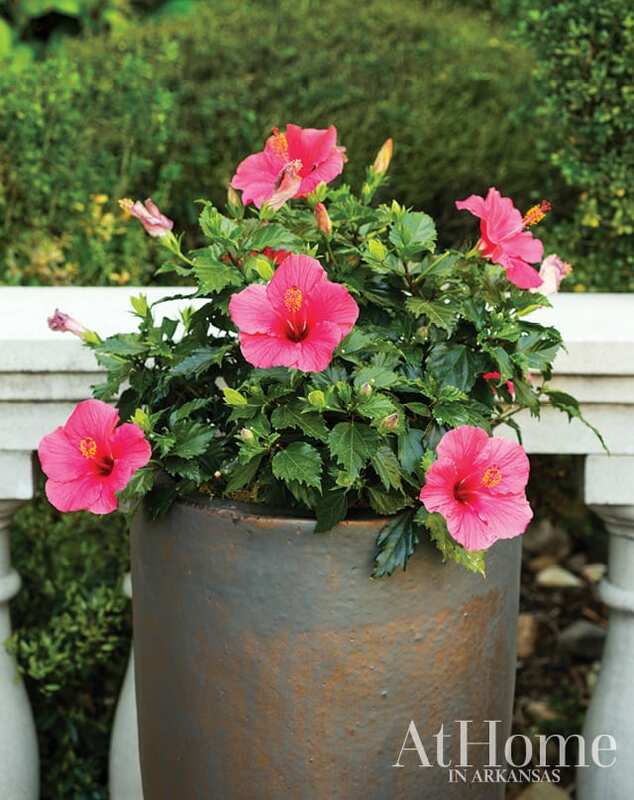 A good rule of thumb for outdoor containers that are not under a covered porch is to water every day during peak temperatures. Check moisture levels and overall plant health if you are unsure or concerned about overwatering. David says drip irrigation is a great tool to assist with watering but shouldn’t take the place of checking the soil moisture levels daily and adding water as needed. Keep your plants looking their best with a helping of plant food. Choose a food based on your planting’s needs and attributes.